With the Android application market place growing, there still feels like a certain lack of depth on offer on the Google owned mobile operating system when compared to Apples App store, and also quite a bit of dross, and malware due to the lack of Quality Control that Google place on their own version of the App store, Googles Android market. With this in mind, Google have attempted to build bridges to new developers who may be keen to learn how to develop for Android but need a little encouragement, so the offering comes in the form of Android Training Classes. Quite simply called Android training, the tutorials are designed to newbies and seasoned developers to hone their skills and learn how to best develop for the Android operating system. With Android suffering in certain areas on many devices, area such as battery life will hopefully be improved for users if developers pay more attention and learn best practices from the likes of this course. 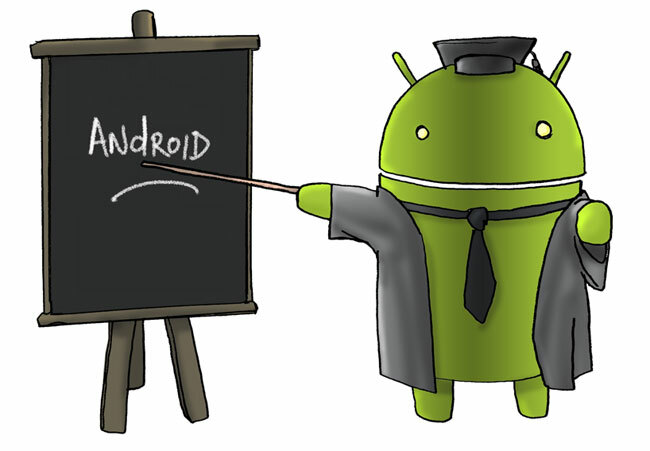 And Google plan to add more and more classes to provide a wealth of knowledge to aid Android devs. This seems like a good overall move from Google who are known for promoting open source code already, but the sheer fact they are competing with a powerhouse like Apple, means that they need to help new and old developers learn best practices, this should add to the whole experience of the Android O/S, which does currently suffer from quality in relation to its app offerings by and large. Another step they may want to take since they have the “numbers” is to bring in a little more quality control to the marketplace, as it is becoming increasingly tough to find the gems from the trash, and often dangerous if you do not have our wits about you due to Malware creeping in.